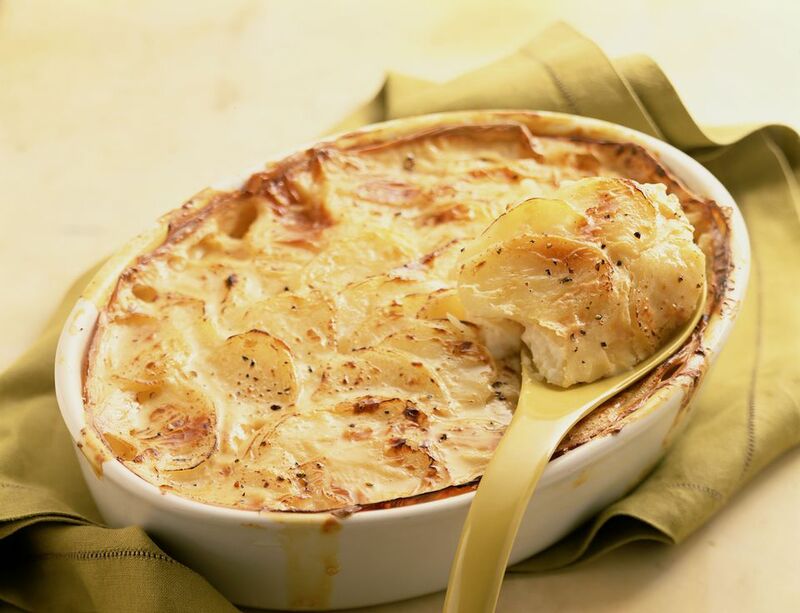 These slow-cooked scalloped potatoes are made with canned salmon and condensed soups. Place half of the potatoes in greased slow cooker/Crock Pot. Sprinkle with half of the flour, then sprinkle lightly with salt and pepper. Cover with half the flaked salmon; sprinkle with half the onion. Repeat layers. Combine soup and water; pour over top of potato and salmon mixture. Sprinkle with just a dash of nutmeg. Cover and cook on Low for 7 to 9 hours, or until potatoes are tender.